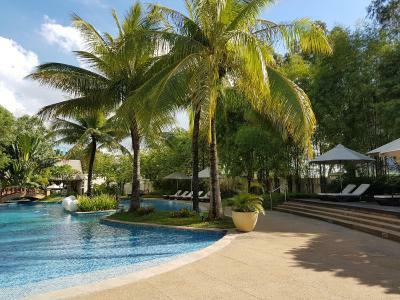 Lock in a great price for Radisson Blu Cebu – rated 8.6 by recent guests! Eventually, we enjoyed our Lounge access and food and drinks. 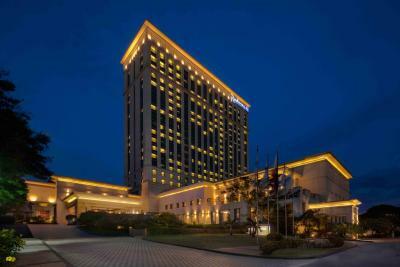 Staff throughout the Hotel were great and accommodating. The Hotel Lobby was very nice and relaxing. Our Suite was nice, clean, loved amenities. The staff was great. Breakfast was very good in both the busniess lounge and the restaurant. Location is good. Dinner was excellent, great choices at buffet. Staff was helpful. Room size was ok. The ambiance of the room. The friendliness of the hotel staff. 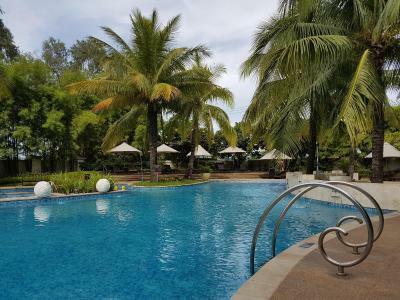 It is the best property in Cebu, in fact, it is the best property in the entire central and southern Philippines. Well the hotel is nice, like a five-star hotel we find in cities. Nothing fancy. But I guess it’s very good considering we were in Cebu. I like their bed. It was soft and comfortable to slept in. Customer service is excellent. 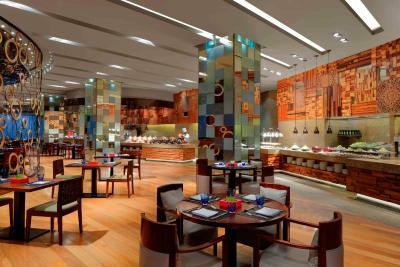 The chef/staff took the time and effort to prepare food that is not on the buffet selections. That’s excellent customer service! 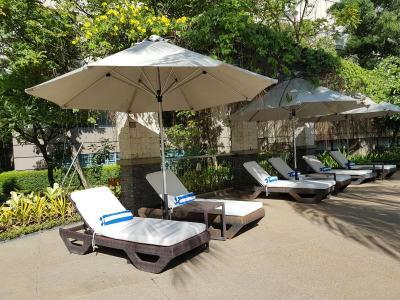 Radisson Blu Cebu This rating is a reflection of how the property compares to the industry standard when it comes to price, facilities and services available. It's based on a self-evaluation by the property. Use this rating to help choose your stay! 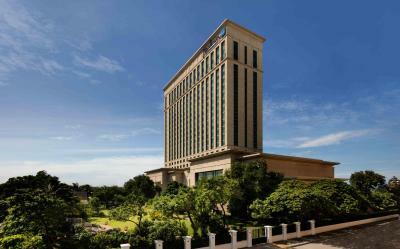 Radisson Blu Cebu offers accommodations right in the heart of bustling Cebu, with direct access to SM City Cebu Mall. The hotel offers free WiFi and free parking. 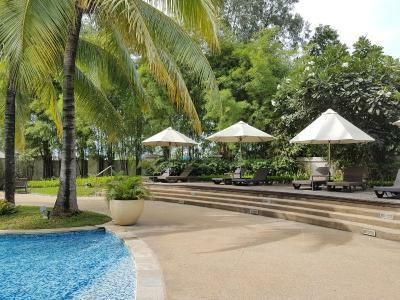 An outdoor pool, spa and 3 dining options await guests. Historical attractions, Magellan's Cross and the Basilica Minore del Sto Niño, are a 30-minute drive away while the vibrant Mango Square can be reached within a 10-minute drive. The nearest airport, Mactan-Cebu International Airport is about 6.6 mi from the property. Rooms feature panoramic views of the city and Mactan Harbor. Each room offers an iPod dock and flat-screen TV with cable channels. 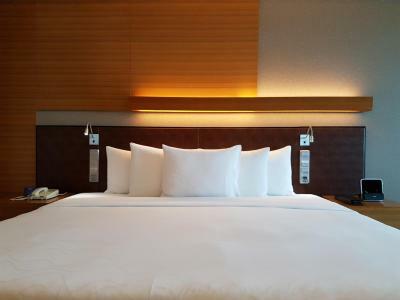 A memory foam bed and 24-hour room service is provided for guests’ comfort and convenience. 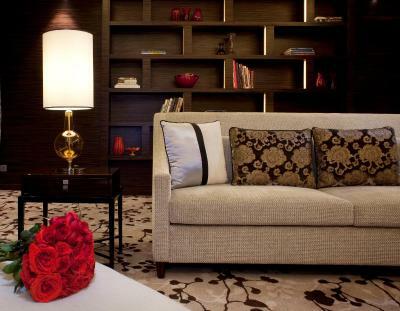 Guests can approach the 24-hour front desk for currency exchange, travel arrangements and concierge services. 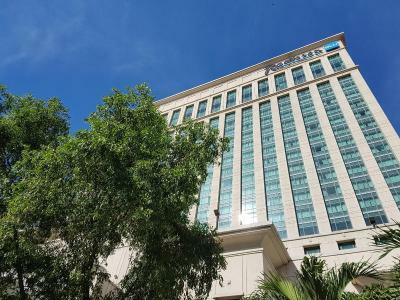 This hotel features an extensive business center offering secretarial, postal and long distance call services. Express 3-hour laundry is available for guests’ convenience. Express check-in and late check-out is offered subject to request and availability. 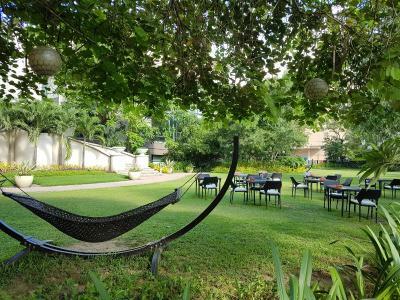 All-day authentic Filipino and international dining is featured in Feria Restaurant, while Urban Table specializes in a bistro-style menu and offers an option for al fresco dining. 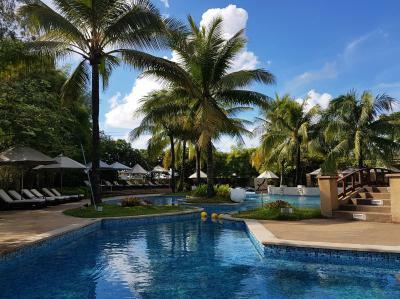 Grilled seafood and refreshing cocktails can be enjoyed at The Pool Bar. 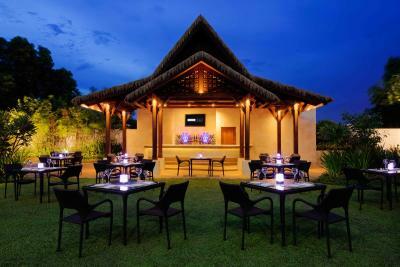 Guests can also enjoy light refreshments accompanied by an assortment of teas at Dilmah t-Bar. The Lobby lounge offers nightly entertainment. 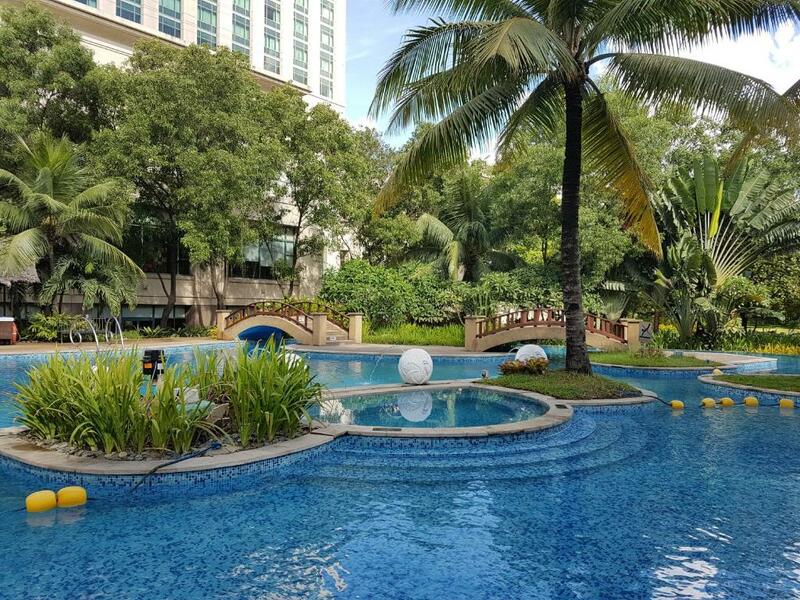 When would you like to stay at Radisson Blu Cebu? 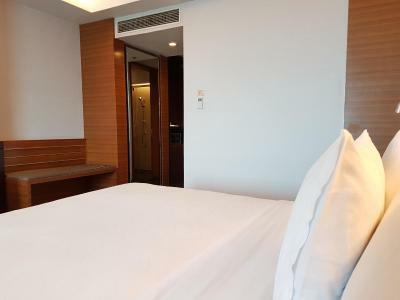 Offering views of the city or the Mactan Channel, rooms are furnished with a 37-inch LCD TV with cable channels, iPod docking station and private bathroom with shower and free toiletries. Spacious rooms include a 37-inch LCD TV with cable channels, iPod docking station and private bathroom with shower and free toiletries. 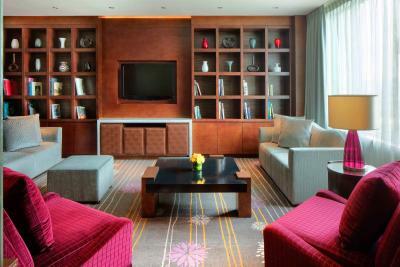 Spacious rooms come with a 37-inch LCD TV with cable channels, an iPod docking station and Nespresso coffee machine. The spacious suites feature a separate living room, powder room, walk-in closet and bathtub. 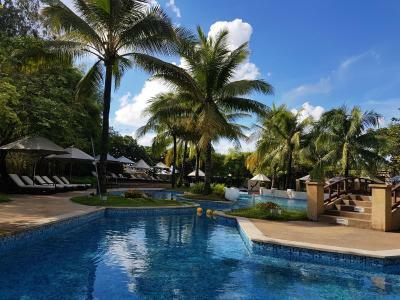 Includes Nespresso coffee machine and access to the Business Class Lounge and its benefits. 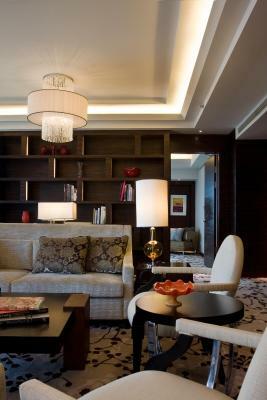 This suite features a seating area, iPod dock and mini-bar. Radisson Blu Cebu is centrally located in Cebu City near the Mactan Cebu International Airport, scenic beaches and offers direct access to one of Asia’s largest malls, SM City Cebu. 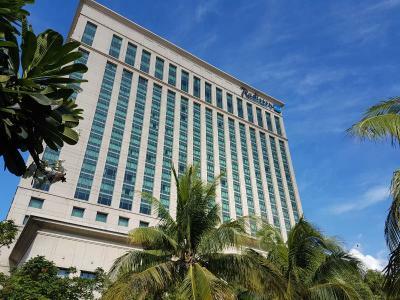 Our hotel offers spacious and a wide range of room types such as Superior, Deluxe, Business Class Room and Executive Suites with deluxe amenities as complimentary high speed wireless Internet access. Feria, our award-winning all-day dining restaurant offers delicious Chinese, Asian, Japanese, Filipino, Indian, Mediterranean and International cuisines and desserts. 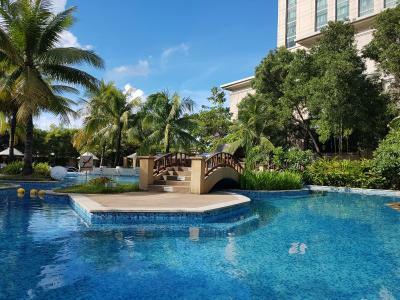 Take a dip in the city’s largest 800-square-meter, free-form swimming pool and stay connected with your business at the convenience of the Business Class Lounge. 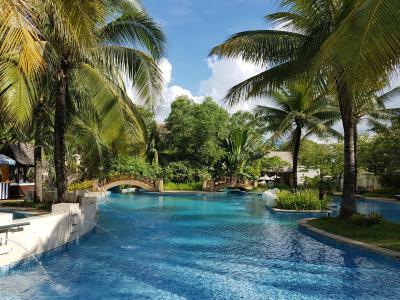 House Rules Radisson Blu Cebu takes special requests – add in the next step! Any additional older children or adults are charged PHP 2000 per night for extra beds. Debit card Radisson Blu Cebu accepts these cards and reserves the right to temporarily hold an amount prior to arrival. Radisson Blu Cebu accepts these cards and reserves the right to temporarily hold an amount prior to arrival. Children under 3 years of age dine for free. Children under 12 years of age are charged at 50% off on regular breakfast rates. Not much. Staff was friendly. I don't think I would like to stay longer than for a transfer though due to the hotel location. Not much around there from what I saw. Convenient hotel close to the airport. We only stayed 1 night to transfer to another part of the island, so we didn't get to try any of the facilities apart from the restaurant which was quite good. 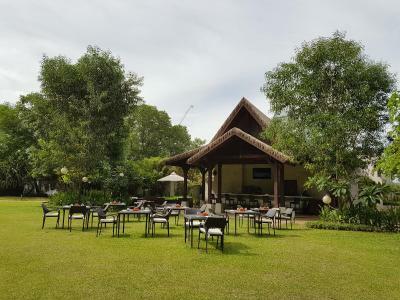 I came for a Easter Holiday with friends and family and had initially a discussion about wearing Long Pants on my Holiday, to being able to access certain area's of the Business Lounge during Cocktail hour. In my opinion overrated this Dress Code during a Holiday Season. Not necessary. All hotels & resorts I stay in, Wearing a Shirt, Shoes and decent Shorts are accepted, just not at Radisson Blu Cebu. Then, as a Business hotel this location overlooking the Container Yard and Shipyards might be ok, but as a Holiday destination, its a big NO. My daughter could not appreciate the container-view that much. 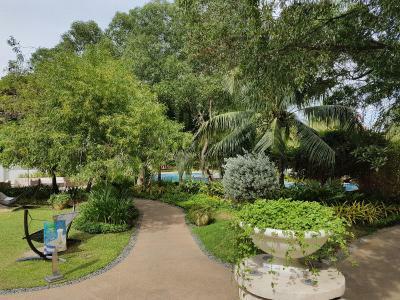 The pool & garden area are just ok, with the noise of cars passing by in the background on the adjacent main harbor road. We took a taxi to go to a Beach …. The selection of snacks in the business lounge was lacking. They are renovating and the rooms not yet renovated smell and are aged. Window in room so dirty could not see out very well. Forget the view anyway. Food can have more and better selection. Location is bad, in room food isn’t good, it’s expensive, bed isn’t great. Wish I had stayed elsewhere. Location was terrible. Couldn’t enjoy how nice the hotel was because the location was so bad. Traffic noise and couldn’t sit at pool long because would start to cough from pollution. Bathrooms a little dated. And toilet didn’t work very well. Rooms were comfy and decor was nice. All food in restaurant was amazing. Vegan burger was wow. Many of the rooms had a bad smell and several of us asked for new rooms which the hotel did oblige. The interior rooms definitely need an update or refresh. The restaurant was not very good and the staff really were not on top of the orders. 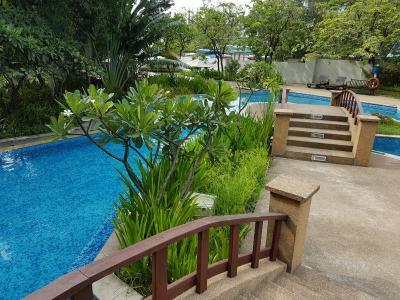 The property is very nice overall with a great staff that was very helpful and pool area was excellent.